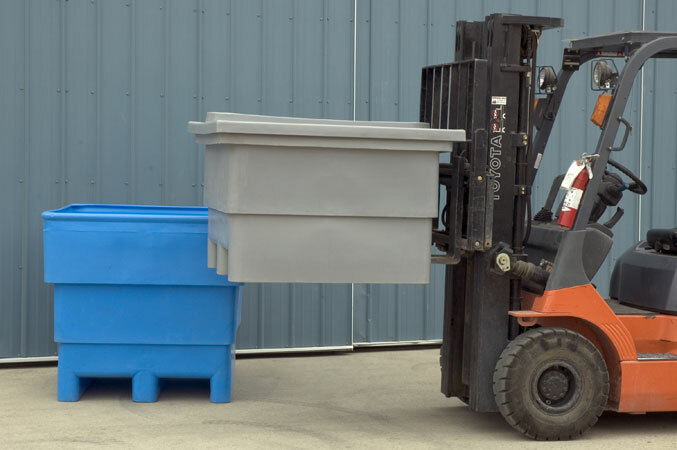 Plastic Forkliftable Containers - D&M Plastics Inc.
Our forkliftable containers include a series of large bulk handling tubs for dry or fluid materials. These containers are available in five sizes and we offer the option of flat bottom with four way entry bolt on legs, or contoured bottom with two way entry. The bins boast a hefty .375" thick average wall thickness and have been used in food processing, recycling, toxic waste collection and transport, and rodent proof storage applications. Containers are nestable when empty for space saving storage. Lids are available and allow containers to be stacked. These containers are included in our CFIA file.